Cinnamon is harvested from inner bark of Cinnamon trees which are native to South East Asia. The inner bark is stripped of the wood portion. Then during the drying process, the remaining portion of the inner bark strip curls into rolls, called “quills” (or “sticks”). Cinnamon and Cassia are harvested from two different trees. These two spices are similar in smell (Cassia is more aromatic than Cinnamon). However, they are very different in both appearance and taste. The thickness of the Cassia quills are much thicker than that of the Cinnamon quills (which are paper-thin). They are sometimes sold interchangeably, so, some countries even have laws to prevent Cassia from being sold labeled as Cinnamon. How should Cinnamon be Stored? Cinnamon (ground and quills) need to be stored in an airtight container and placed in a dark location. Buy Cinnamon in small quantities because it quickly will lose its flavor and aroma. So, if you have had that container of Cinnamon in your spice cabinet for more than a few months — it is time to replace it. Cinnamon can be described as sweet, fragrant and aromatic. It is often stereotyped as being only used in sweet recipes. Most people do not realize just how savvy Cinnamon can be. It can be used for savory as well as sweet recipes. 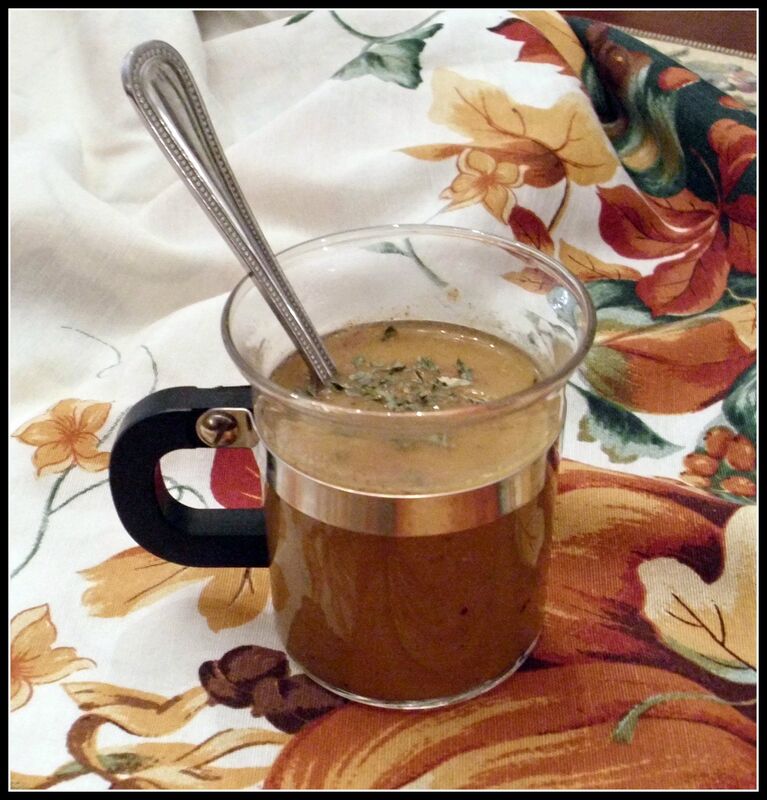 Be sure to check out the savory recipe that I posted on 09/16/2010 for Moroccan Inspired Slow Cooked Chicken & Chick Pea Stew which uses a Spice Blend of mine that features the spice Cinnamon (https://gypsyworldspicecafe.com/2010/09/16/recipe-slow-cooked-chicken-chick-pea-stew-with-minted-couscous/). 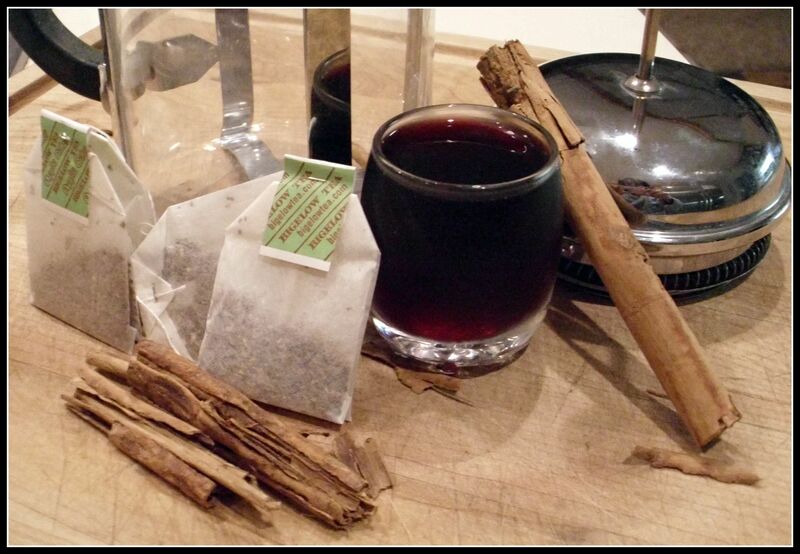 Cinnamon quills (sticks) should be used when you want to infuse liquid with Cinnamon flavor. Cinnamon powder is used with other ingredients to flavor baked goods, spice blends, and beverages. Add to warm milk with honey. Add to your post-workout shake. Recently, cinnamon has had more attention due to all the health benefits that can be gained by incorporating Cinnamon into your diet. Below I’ve listed some topics that I read about. There is a lot of great information and articles out there…if you want to google and read more about them. In a large saucepan, bring all ingredients to a boil. Simmer for 5 minutes. Serve in mugs warm or chilled garnished with chopped chives. This is a really healthy and easy recipe to pull together to serve as a starter or at lunch with grilled sandwiches. The Cinnamon and Cayenne combination is really scrumptious. Each serving is about 50 calories, so it is a great snack too! Corsican Herb Blend is a mixture of herbs frequently used in Corsican cooking. You can substitute Thyme. Sumac Pepper is a blend of Sumac and ground black pepper. You can substitute black pepper or lemon pepper. Add Apple Cider Tea Bags and Cinnamon sticks to the boiling water. Remove Tea Bags and Cinnamon sticks. Add wine to the brewed tea. Pour into 4 mugs. Garnish with apple slices and sprinkle with ground cinnamon and a cinnamon stick if want. 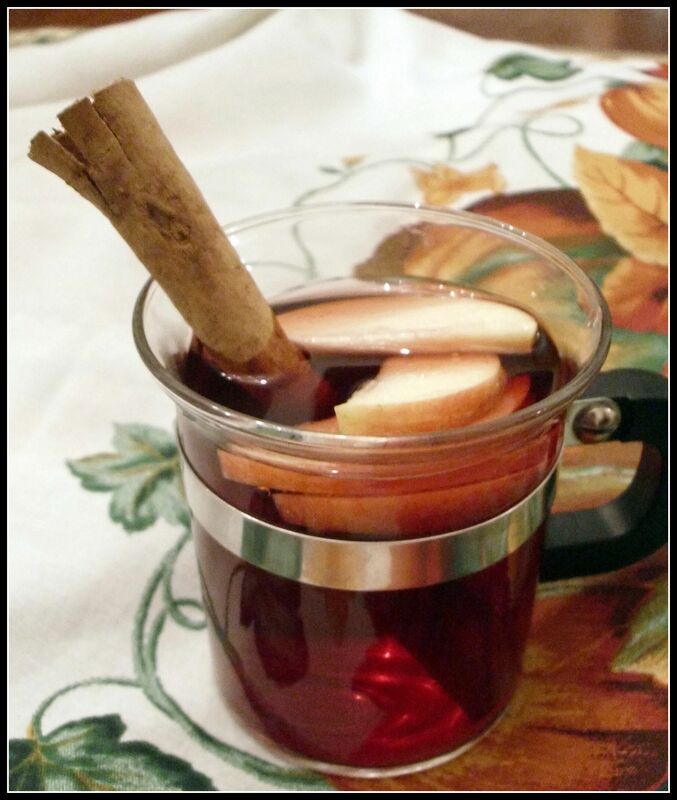 I could not decide on whether to post a recipe on Mulled Wine or Mulled Apple Cider. This recipe is a result of the decision to combine what I liked about both. It is good warm or chilled. Another variation would be to use 3 ounces of wine and 1 ounce or orange flavored vodka (to get some citrus flavor into the mix). There are plenty of combinations to try by switching out the type of tea, vodka or wine. 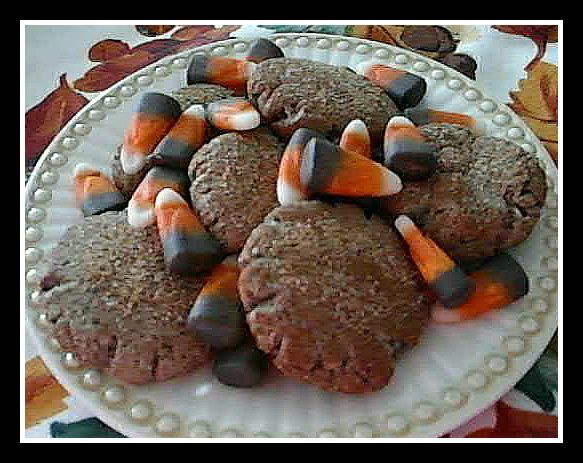 Combine flour, nutmeg, baking powder, cocoa and salt. Set aside. In a large bowl, cream butter with 1/3 cup of sugar until pale in color. Stir in dry ingredients until you have a smooth mixture. On a plate, mix together the cinnamon and remaining 2 tablespoons of sugar. Roll dough to balls that are about the size of walnuts. Roll each dough ball in the cinnamon-sugar mixture and place onto greased baking pan. Bake for about 15 minutes. Rest on baking sheet for 1 minute then transfer to a wire rack to cool. First and foremost, if you do not have this cookbook, it is one you should have. The recipes are great. However, I do have to say that I almost chose to not include this recipe with this blog article. Snickerdoodle cookies tend to be a dry cookie and this cookie is not very sweet. Typically, if I am going to indulge in a cookie, it has to be worth the calories. At the urging of my taster’s I decided to include the recipe because they really liked it. They also tend to like the butter cookies that are dry (like Snowballs). So, if you like that sort of cookie, you will like this one too. Also, want to note here that I decided to flatten each cookie with a glass before baking. Taster’s Comments: They tasted even better the next day. Look out for mini-articles which will be posted over the next few weeks featuring Cinnamon. Hope you try some of these recipes and enjoy them as much as we did.